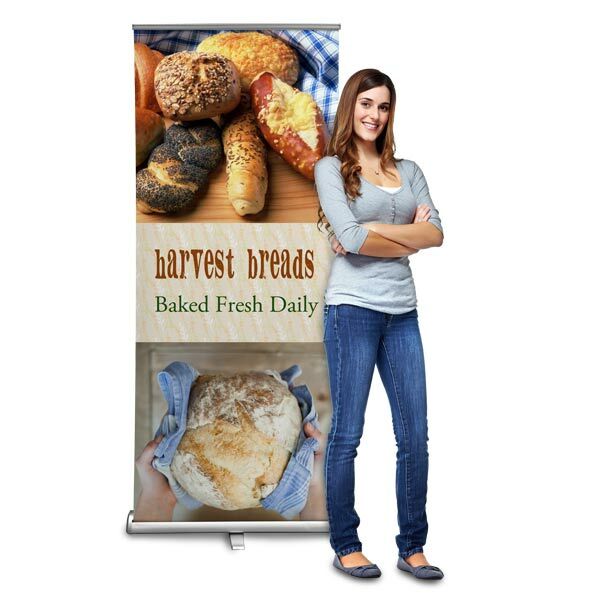 Standing Roll Up Banners are our premium stand up banners that are high quality, collapsible custom banners that can be set up in seconds. Create a sign for your business, advertise a sale, promote an event, or welcome guests to a wedding reception or party. Roll Up banners are stand up banners that are perfect for getting your photos and message seen. 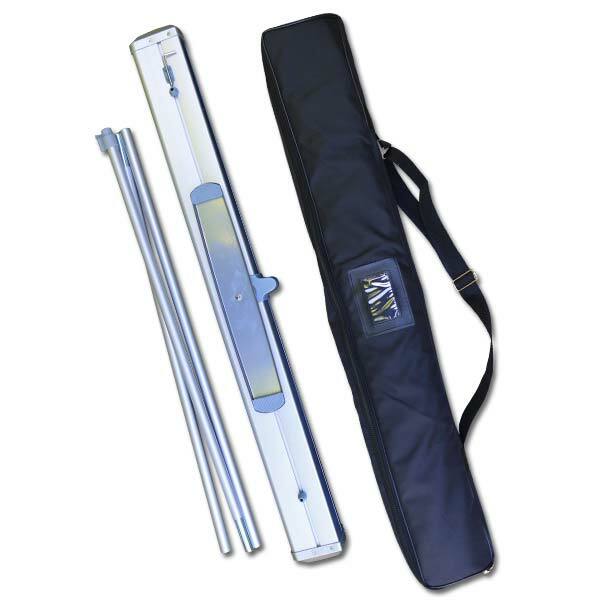 Our retractable banner stands can be rolled up into a metal casing that will protect your banner when you are on the move. 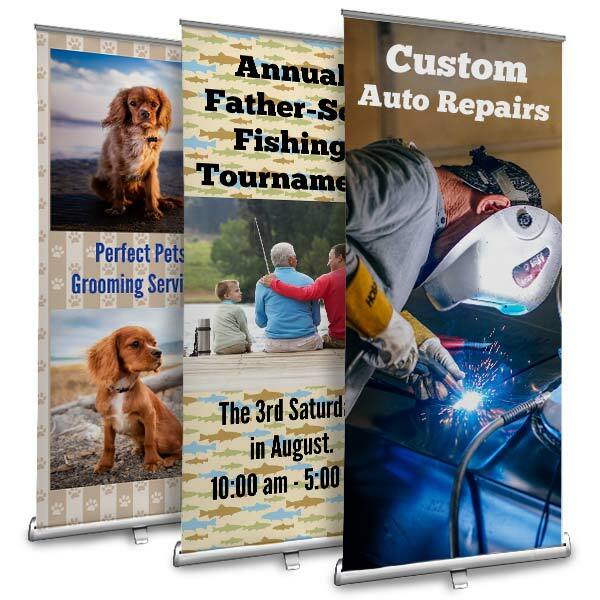 We also offer many options for customizing the photo, text and template for your Roll Up Banner. 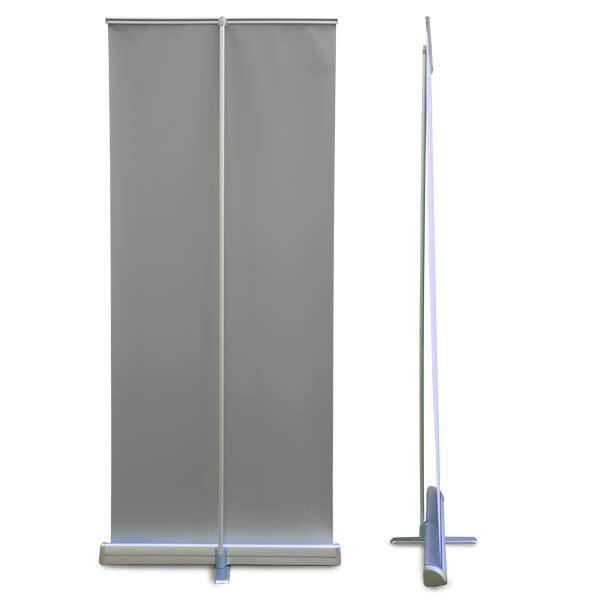 Need a vertical banner stand for many events to come? The Roll Up Banner is the right stand up banner for you! Upload your Own! Full size image required is 4969px wide by 12927px tall. The safe zone is 4969 x 11727 pixels top aligned. Or 33.125 x 86.186 inches at 150 dpi, allowing 8 inches on the bottom (hidden) for attachment to the roller.